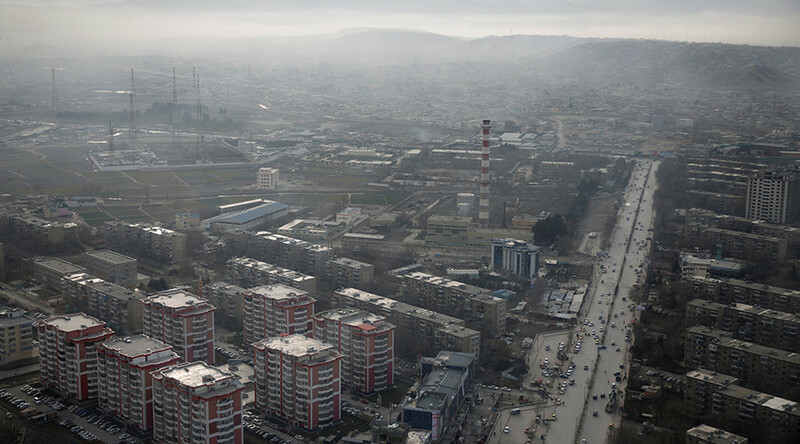 At least 14 Nepalese and Afghan security contractors were killed and eight people wounded when a minibus carrying the contractors was hit by a suicide bomber in Kabul, the capital of Afghanistan, local police said. Interior Ministry spokesman Sediq Sediqqi wrote on his Twitter account that 14 people had been killed and eight wounded, while the police were identifying the victims. Initial report of today's terrorist attack in Kabul 14 killed and 8 wounded, Police are working to ID victims. The casualties included both Nepalese security contractors who were inside the vehicle as well as Afghans nearby, Kabul police chief Abdul Rahman Rahimi said Monday. He added the suicide bomber was near a compound housing the contractors and hit their vehicle as it moved through early morning traffic, Reuters reported. Several civilians in a nearby market were also wounded in the blast. The Taliban has claimed responsibility for the attack in a Twitter statement by the Islamist group's main spokesman, Zabihullah Mujahid, claiming it had targeted “the forces of aggression” in Afghanistan. I condemn the terrorist attack on those traveling to their work places in Kabul this morning.This attack is an act of terror & intimidation. A witness described seeing multiple victims and two injured individuals. The victims were reportedly being rescued from the mangled vehicle. Reports on Twitter earlier claimed that it was a suicide bombing and that the vehicle targeted was used by foreigners. Meanwhile, Ariana News said that Nepalese guards were inside the targeted minibus. Breaking: Suicide bomber targets a minibus which was carring Nepalese guards in PD9 Kabul city. The Kabul attack appeared to be the first since the start of Ramadan, the holy month for Muslims. It follows the previous suicide attack on a bus carrying justice ministry personnel outside Kabul last month and a separate attack on a court in the central city of Ghazni on June 1.